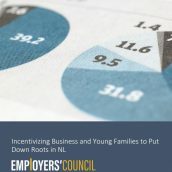 The NL Employers’ Council (NLEC) is imploring the provincial government to change the way they manage our province’s finances. Instead of budgeting at the maximum price of oil as this government has been doing, government must budget spending based on a more modest estimate. Any resulting surplus should be used to pay down debt and save for the future – as many other jurisdictions with non-renewable resource based economies have been doing for years. 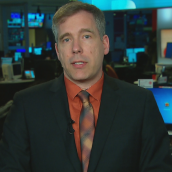 According to the Auditor General, government spent $15,000 per person in 2013-14, that’s 45 percent higher than the average of all other provinces. While government asserts this money has been spent on infrastructure the Conference Board of Canada, in research commissioned by the NLEC, found that Newfoundland and Labrador ranks eighth out of the ten provinces on investment in fixed capital as a share of GDP. 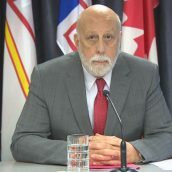 As of 2012, Newfoundland and Labrador’s average age of its public infrastructure is 16.7 years, second oldest of any province in the country. The province does, however, have the highest per-capita expenditures on programs in the country, at $13,200 per person in 2014-15. This is not surprising given the province has the highest provincial and local government employment as a percentage of all jobs in Canada, at 25.2 per cent in 2013 compared to the national average of 16.3 percent, as reported by the Atlantic Institute for Market Studies. 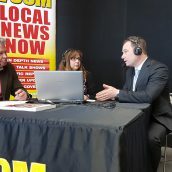 Before even thinking about raising taxes on the hardworking people, and businesses, of Newfoundland & Labrador, government must ensure that every tax dollar is being spent in the most prudent and efficient manner possible. 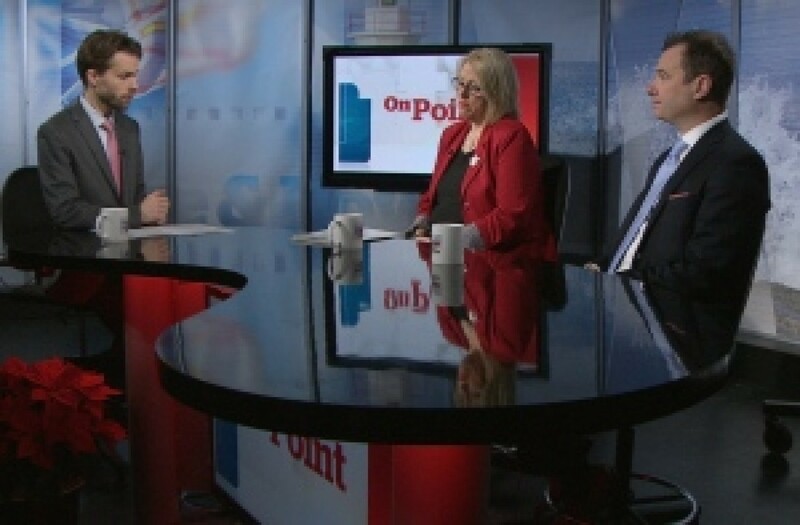 The Employers’ Council is calling on government to take a serious proactive, long term look at expense levels that are sustainable for the taxpayers of Newfoundland & Labrador. This should include rationalizing the size of the public sector in this province, by looking at every program or service and determining if taxpayers are getting a return on their investment. If not, then the program should be modified to be delivered more efficiently, or eliminated altogether. Across the board cuts to the public service are not an effective means to reduce expenditures, but we simply cannot afford every program and service that government currently provides.